The Client also has a Servlet which can be accessed by browser clients. These browser clients use the Web services of the client to access the Web Services of the Server and thus multiple client customers can transact in the online retail store concurrently. 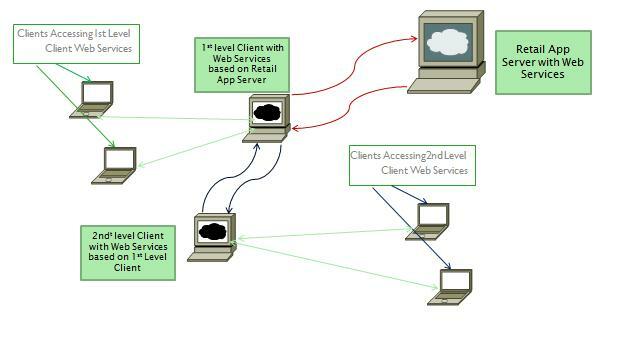 There can be multiple instances of the Web Client, each of which can serve multiple customers concurrently, all accessing the same Retail Application Server. 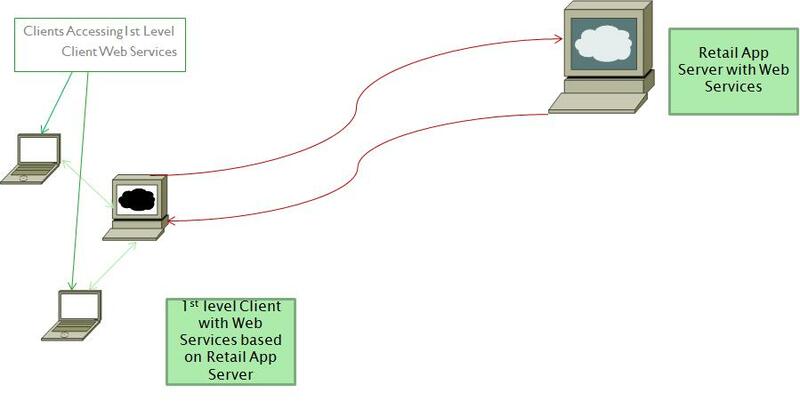 We refer to this as 1st Level Client Web Services. This model can easily be extended in a similar fashion to another level of clients, 2nd Level Clients, who publish their services based on the 1st level client web services. Both these scenarios are depicted in the diagrams below. This solution is hierarchical and flexible and scalable. At the same time, it preserves consistency in concurrent client access of a retail database at the Retail Application server.